At Landon-Landon, we use only the best materials for your home or business. 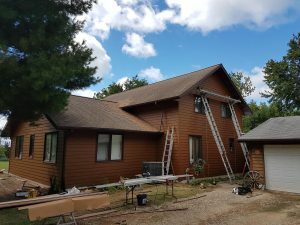 With Wolverine vinyl siding, a quality brand of CertainTeed, comes the heritage of architectural accuracy and performance that has pleased consumers and building professionals for more than 50 years. Vinyl provides enduring beauty and design flexibility. With the many color and texture options Wolverine provides, you are able to achieve the design you want for your home. 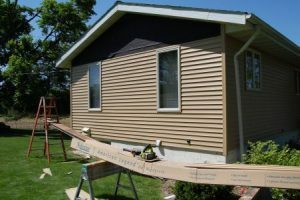 Vinyl is now the number one siding material available because of its sheer endurance. Unlike many other siding materials, vinyl is impervious to rain, cold, salt and snow. Also, vinyl won’t rot, peel, dent or show scratches, nor will it ever need painting. Steel siding has the look and warmth of wood and the strength and performance of steel. It is resistant to weather and warping and is a sustainable material (100% recyclable). A high quality, beautiful, and functional material to choose.